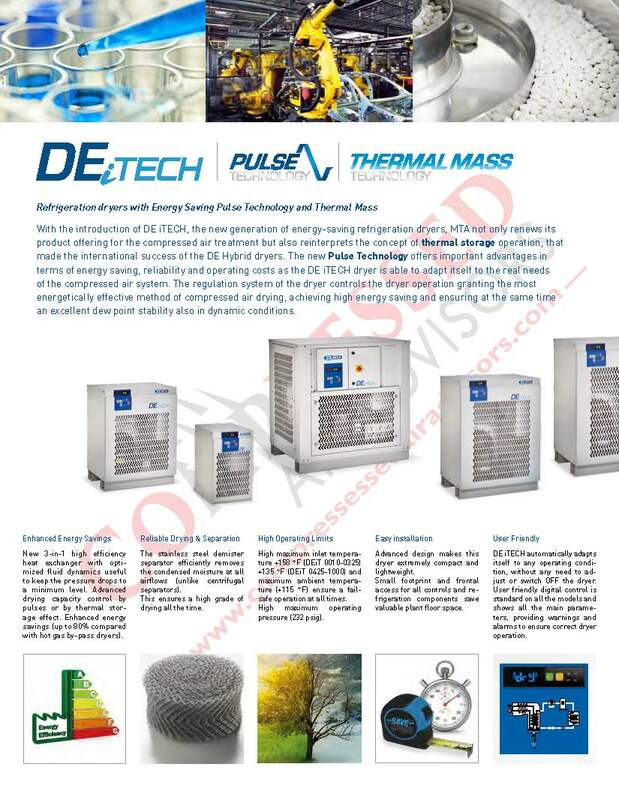 The DEiTECH is a refrigeration dryer equipped with Impulse Technology. 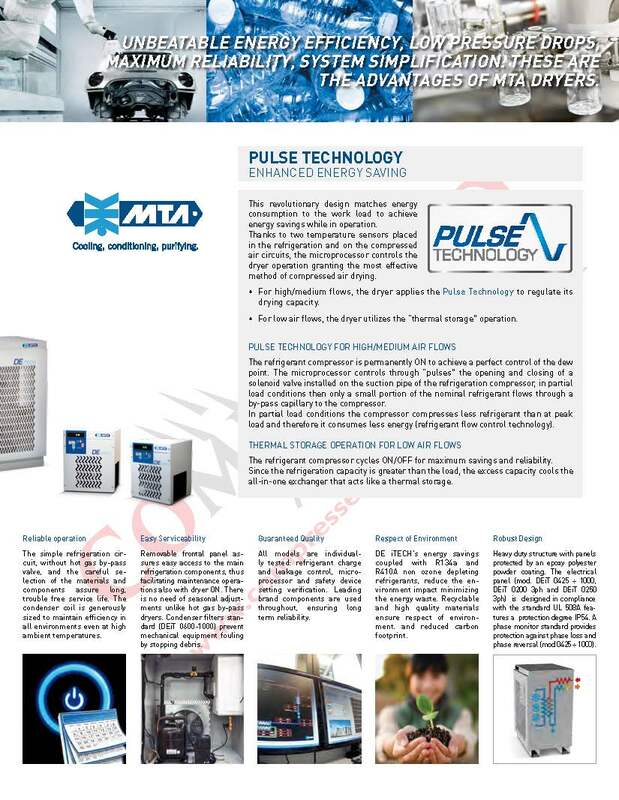 It provides energy savings, reliability and low management costs. 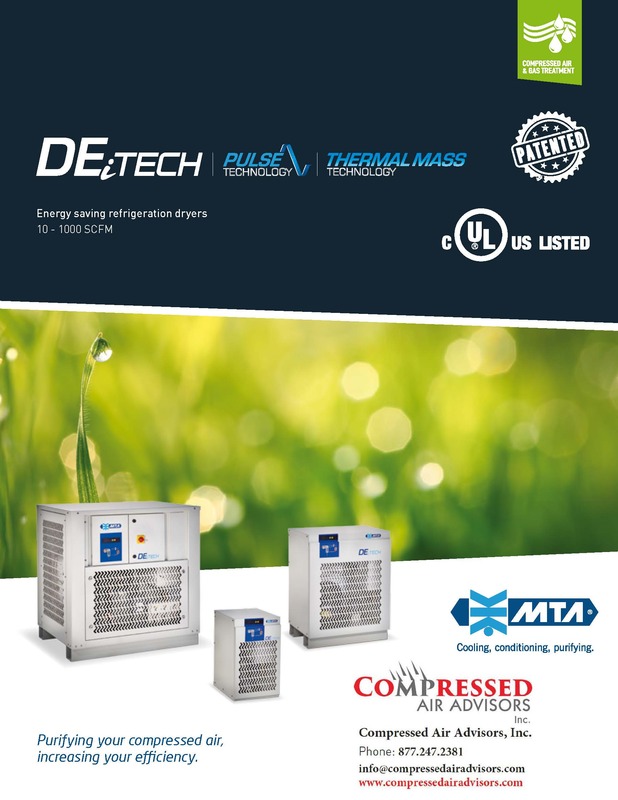 The DEiTECH dryers adapt their performance and adsorbed power to the real requirements of the system thus providing a stable dew point with variable compressed air flow rates. 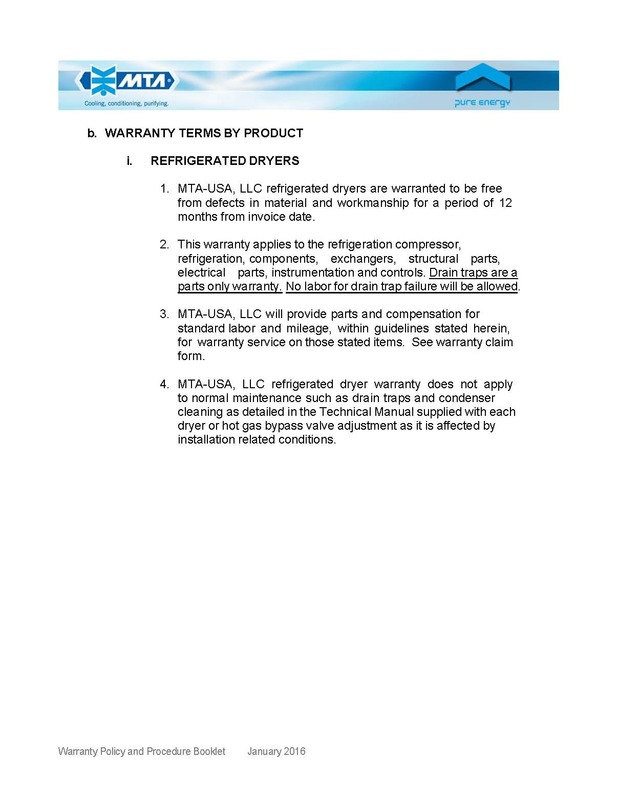 The innovative Impulse Technology system controls the drying capacity of the dryer via impulse adjustment of the refrigerant liquid flow or through the thermal mass effect. New compact 3-in-1 aluminum heat exchanger engineered specifically to maximize the heat transfer co-efficient. It includes a stainless steel condensate separator. Minimal pressure drops (average 1.3 PSIG) thanks to the fluid dynamic optimization and the large transfer sections. Dew point under control also in case of sudden variation of the compressed air flow. 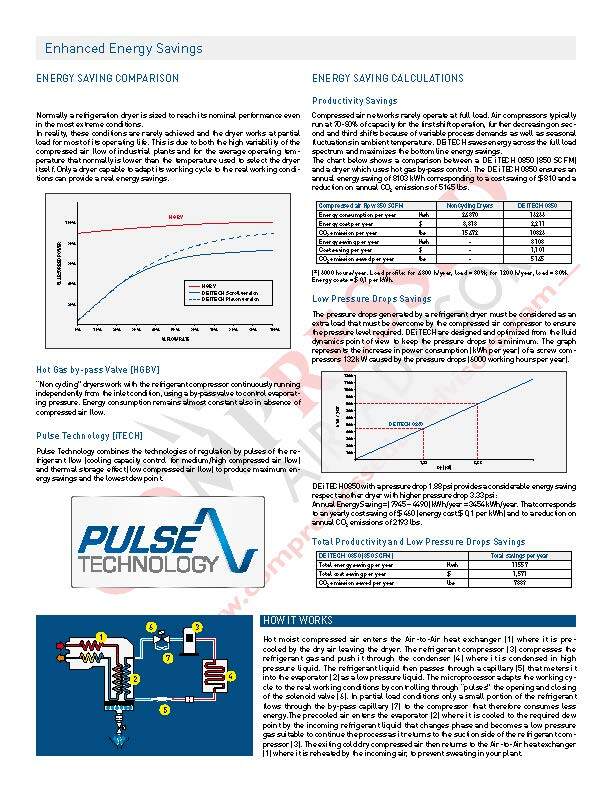 Low environmental impact and reduced carbon footprint thanks to the Impulse Technology energy saving system. 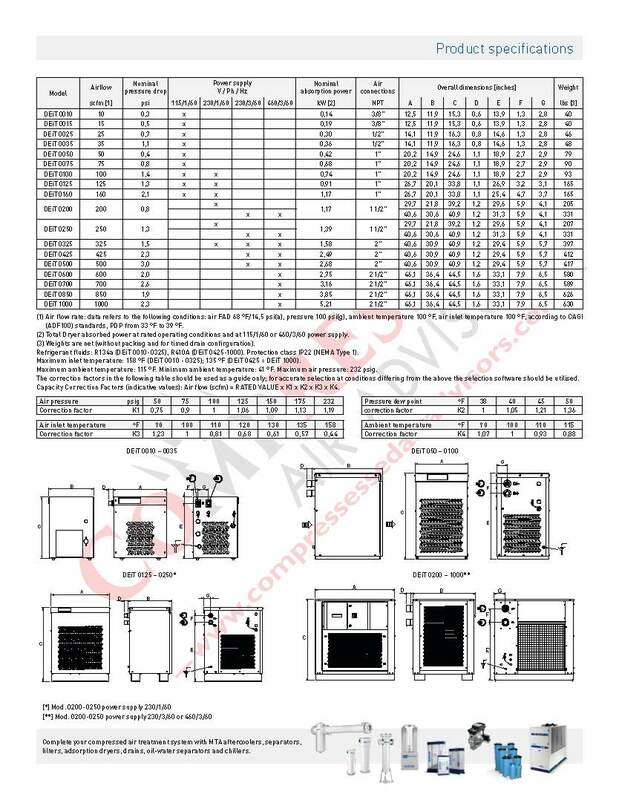 The cabinet panels are protected by an epoxy polyester powder coating. 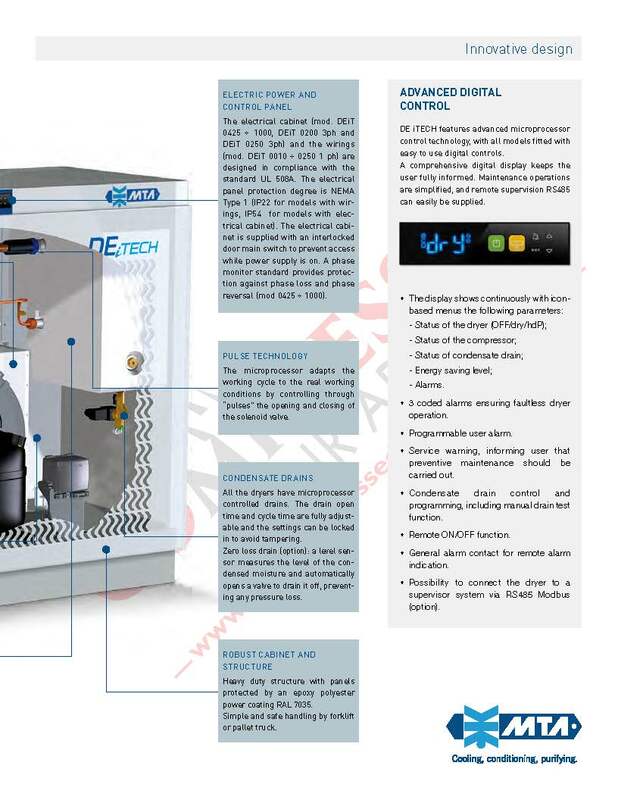 Hermetic piston compressors (DEiT 010– 0325) ensure high reliability and long service life. 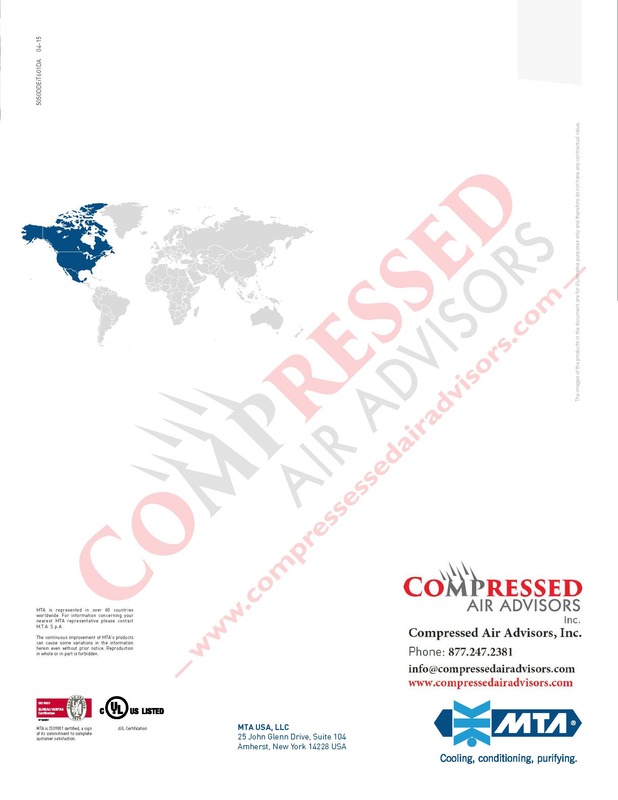 Scroll compressors (DEiT 425 – 1000) offer reduced energy consumptions, low vibrations, less moving parts and high reliability. 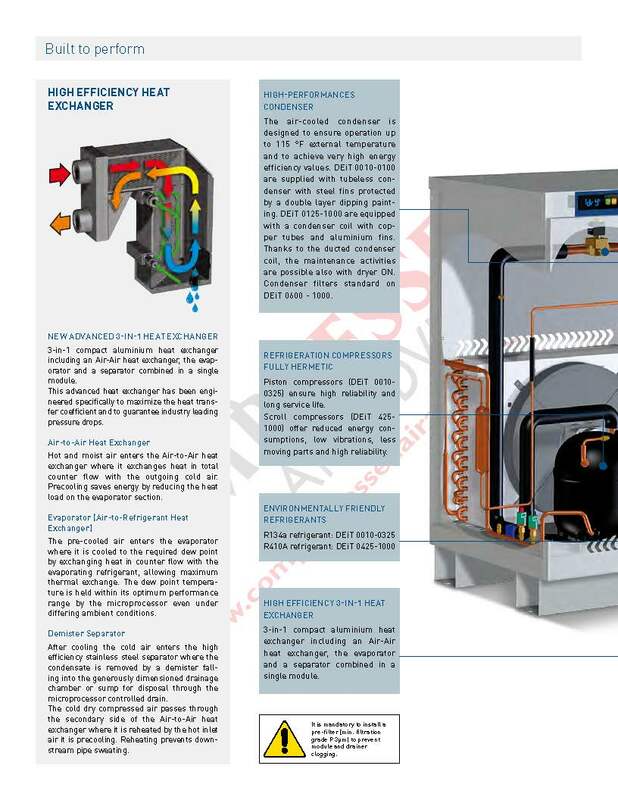 3 in 1 Heat exchanger: Compact aluminum heat exchanger including an Air to Air Heat Exchanger, the evaporator, and a condensate separator combined in a single module. 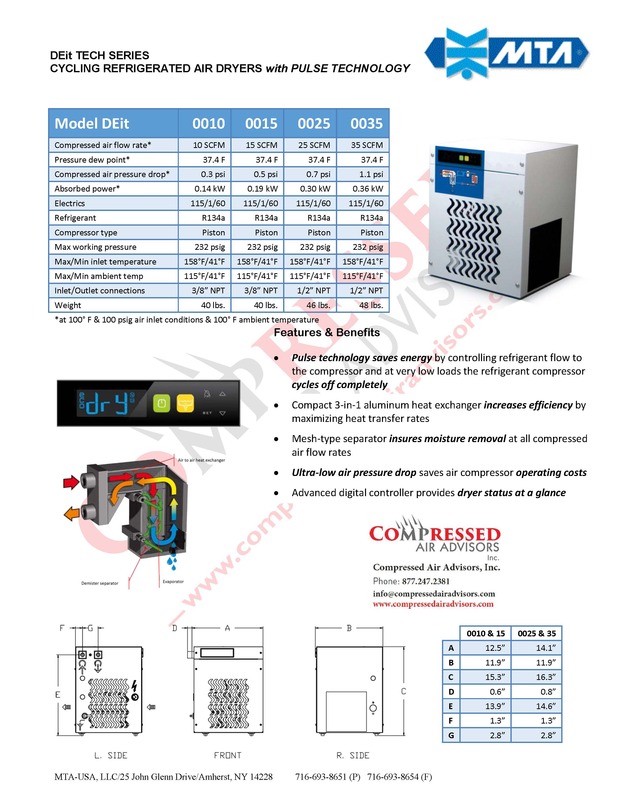 (External condensate separator DEiT 0425-1000).